Former interim UFC welterweight champion Colby Covington is not happy after being snubbed by the UFC of his promised title unification bout with Tyron Woodley. “Chaos” had captured the promotions interim welterweight title at June’s UFC 225 event in Chicago, where he scored a unanimous decision victory over Rafael dos Anjos. However, after nasal surgery kept him from competing at UFC 228, Covington was ultimately stripped of his belt by the promotion. Still, it seemed that the UFC had intentions of booking the proposed Colby Covington vs. Tyron Woodley grudge match. That all changed on November 30, this after Kamaru Usman put on a spectacular performance that culminated in a dominant win over the aforementioned former lightweight champion “RDA”. Immediately following the TUF Finale event, UFC President Dana White claimed he was ready to “move on” from Tyron Woodley vs. Colby Covington. 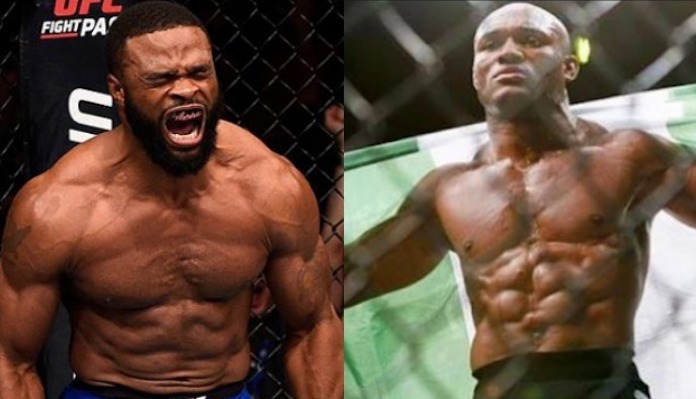 Ultimately the promotion chose to do just that, as it was announced Monday that Tyron Woodley would be defending his belt against Kamaru Usman at March’s UFC 235 pay-per-view event. It was really an odd choice by the promotion, as multipe polls went on to prove that fight fans were more interested in a Woodley vs. Covington matchup. On top of that, the UFC broke a number of previous promises made to the now former interim welterweight title holder, Covington. After the news broke on social media that Tyron Woodley would be taking on Kamaru Usman at UFC 235, multiple fighters took to Twitter where they shared their respective thoughts on the UFC’s snubbing of Colby Covington. @ColbyCovMMA got screwed….and I know that made all of you chuckle a little bit. Thoughts on Covington losing out on the title shot when he’s the interim champ? Got to be @Leon_edwardsmma @darrentill2 @ColbyCovMMA winner gets a title shot???? Good example of why a union/association is a must! 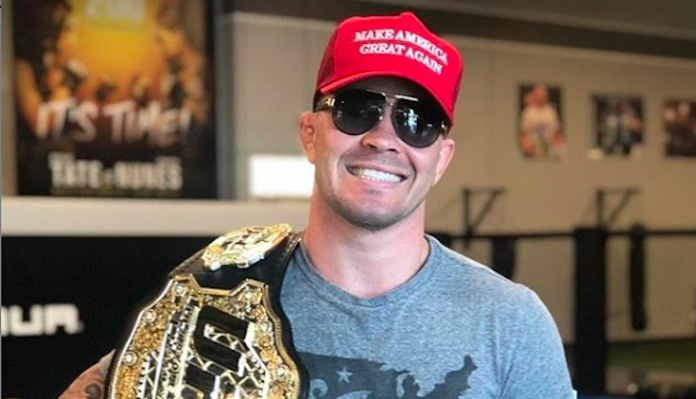 Colby Covington recently stated that he will only return for his promised title shot. As for Tyron Woodley, the current UFC welterweight champion says he will take care of Covington soon after he is done with Usman. How do you expect this situation to play out? Sound off in the comments section PENN Nation!